The ladies are, clockwise from above left, Grace Goldstein, Wynona Burdette, Delorores Delaney and Connie Morris. Karpis and Campbell's escape car. Now all the Barkers were accounted for, and many of the gang’s associates that been arrested, but Karpis was still on the run. Karpis, in his autobiography, said he had visited the Lake Weir cottage in December, on his return from Havana, Cuba. He and Fred had also driven up to Cleveland to meet with Doc to discuss a robbery scheduled for later in the winter. 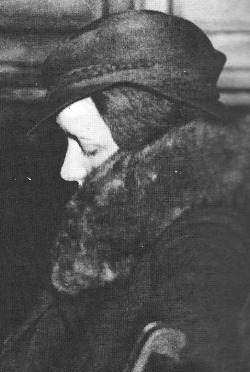 After Fred returned to Lake Weir, Karpis went to Miami with his pregnant girl friend, Dolores Delaney, and gang member Harry Campbell, and his girl, Wynona Burdett. They planned to return to Lake Weir in January. Once Fred and his mother were killed, however, Karpis and the others were on the road again, this time traveling to Atlantic City, N.J. Within days, however, police tracked them down. Karpis and Campbell eventually made their way to Toledo, Ohio, and a brothel owned by Edith Barry, where they remained for several months. Karpis was identified in August at Saratoga Springs, and then vanished for another nine months. In April, he hit a Warren, Ohio, mail truck for $70,000, (two innocent men would be convicted of that crime) and in November, a train holdup at Garrettsville, Ohio, netted $30,000. That robbery actually included a private airplane flight to Hot Springs, Ark., as part of the getaway. Karpis and Campbell committed these two crimes with new accomplices, including a gambler and ex-convict named Fred Hunter, 36. His hometown was Warren, Ohio, where he was convicted in 1923 for car theft, and then for attempted jailbreak. Hunter and Karpis met through mutual contacts in January of 1935, shortly after the Atlantic City shootout, according to FBI reports, and it was Hunter who suggested the $70,000 robbery. The three remained in Ohio until June, when they headed to Hot Springs, but Karpis was again on the move. He visited the east on an extended trip, but after he was recognized in Saratoga Springs in the summer of 1935, he returned to Hot Springs, where he was staying with another brothel owner, Grace Goldstein, 35. 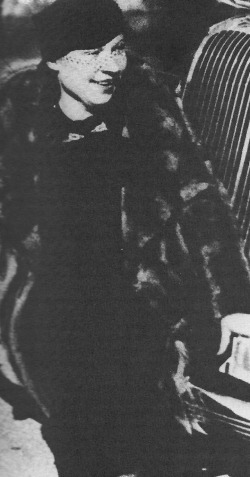 Hunter was staying with one of Goldstein’s girls, Connie Morris. By this time, the heat on Karpis, the last of the big name public enemies, was white hot. Depending on various sources, he was wanted for - or suspected of - three kidnappings, between 3 and 13 murders, more than 30 bank robberies, plus the train and mail truck robberies and assorted other crimes. Multiple federal and state rewards had been offered for him, and he was being hunted by the FBI, U.S. Postal Service, several states and numerous local police departments, as well as an unknown number of private citizens, presumably hoping to collect some of the rewards. Even magazines were getting in on the hunt. Liberty magazine offered a $5,000 reward if Karpis was brought in dead. The ad underlined the word "dead." It made no mention of taking him alive. And the prolonged pursuit was not helping Hoover either. Although he had streamlined and greatly improved the bureau since his appointment in 1924 - and eliminated a lot of high profile outlaws such as Dillinger, Floyd and Nelson - it was still viewed by many as a dumping ground for political appointees with little real law enforcement experience. Hoover was derided for never personally making an arrest and called a swivel chair detective. In early 1936 U.S. Sen. Kenneth McKellar, (D-Tenn.) chairman of an appropriations committee, lopped off $225,000 from the FBI budget (later restored) and accused Hoover of irresponsibly spending governmental money. He also noted publicly that Hoover had never made an arrest, or had even been at the scene of any arrests. The heat was almost as intense on Hoover as it was on Karpis. 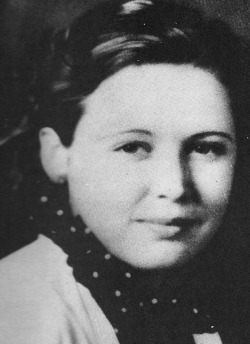 Through all of this, the FBI continued it’s hunt for Karpis, concentrating mostly in the Ohio area because when they captured Delaney in the January 1935 hotel shootout in Atlantic City, she supplied them with several places and hangouts in Ohio that she knew about. Karpis, however, probably anticipating Delaney would give up information, simply avoided all his former hideouts. Again, the trail grew cold.